Free Delivery to the UK (except some Scottish Highland areas and Islands which may incur a small charge, please call if you are unsure). We do sell our baths internationally but please contact us for a shipping quote as prices will vary depending on your location. 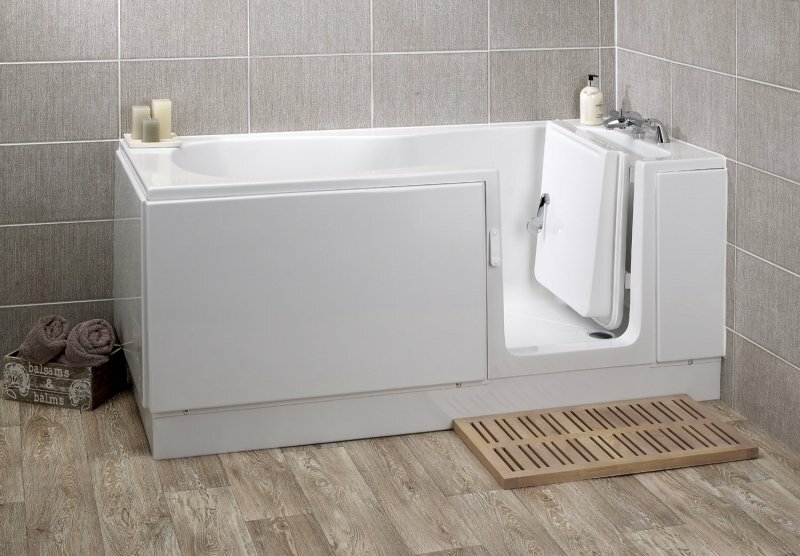 The Jubilee Ultra Walk In bath has a seat built in but still has enough room to stand and shower comfortably, taps can be positioned at the door end or centrally. All prices include delivery and waste kit but not panels. All plus VAT. Please note, excluding VAT, please call to check your exemption for disability.